The lines below the picture at the top of the page are taken from the back cover of the LP you can see above it. It was never officially released, but has been bootlegged for many years now, first on Vinyl and then on CD. 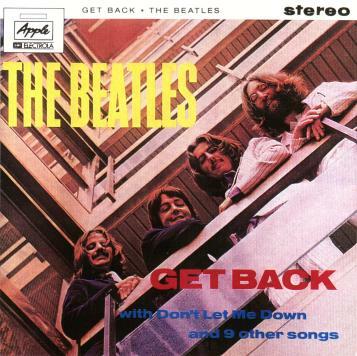 It is the ultimate reference book to all recordings from the Get Back-Sessions that were available up to September 1997, when the above mentioned second edition was published. It was first released in 1994 under the title of "Drugs, Divorce And A Slipping Image". That is were the abbreviation of "DDSI" has its origin. A "DDSI"-Number is now a widely known sign in the circle of Beatleg-collectors, that the recording that it refers to, is from the Get Back-Sessions. I don't want to copy the information out of the book on this page. I want to summarize some of it and add some things, that I noticed during the making of my CD-Inlay's. 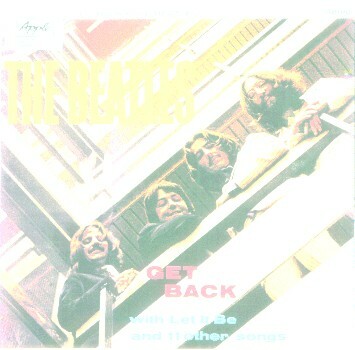 I also want to give some compressed info's about the different versions of the "Get Back"-Album, that were planned during the year of 1969.